Hellboy’s review embargo was lifted yesterday and so far, critics haven’t been kind to the newest take on Mike Mignola’s demonic hero. The film is currently sitting at 12% on Rotten Tomatoes, with critics dismissing it as dull, overstuffed, and gratuitously violent. When a movie’s reception is this poor, it’s usually a reflection of significant behind-the-scenes drama. Thanks to a new report from The Wrap, this seems to be exactly what happened during the film’s two-month troubled production. A whopping 16 producers lend their names to Hellboy’s credits, yet it only took two of them–Lawrence Gordon and Lloyd Levin–to drive director Neil Marshall up a wall. According to The Wrap’s sources, Marshall first came into conflict with Gordon and Levin when they abruptly replaced cinematographer Sam Curdy. Marshall previously worked with Curdy on several other projects, including the “Blackwater” episode of Game of Thrones. Naturally, he took issue with Curdy’s firing. But the producers allegedly wanted to “send a message” to Marshall that he wasn’t actually in charge of the film. The report also mentions problems with the film’s star, David Harbour. There were supposedly multiple instances where Harbour walked off the set after refusing to film additional takes. The actor’s frustration might also have stemmed from constant changes to the movie’s script. Harbour reportedly had to rewrite some of the scenes himself alongside co-star Ian McShane. Sadly, Hellboy’s box office expectations aren’t faring any better than its critical reception. The film is anticipated to earn a paltry $17-20 million in its opening weekend. Compared to Shazam!’s $53 million opening last week and Captain Marvel’s initial tally of $157 million, Hellboy’s estimate is very disappointing. Needless to say, the movie’s lackluster performance will almost certainly dash any hopes for a sequel. Moreover, Guillermo del Toro loyalists will continue dreaming of what a third installment in the original series would have looked like. 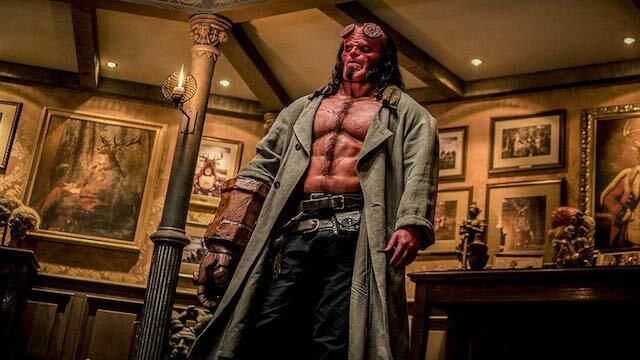 What do you make of this latest report about Hellboy’s contentious production? Give us your thoughts in the comment section below!